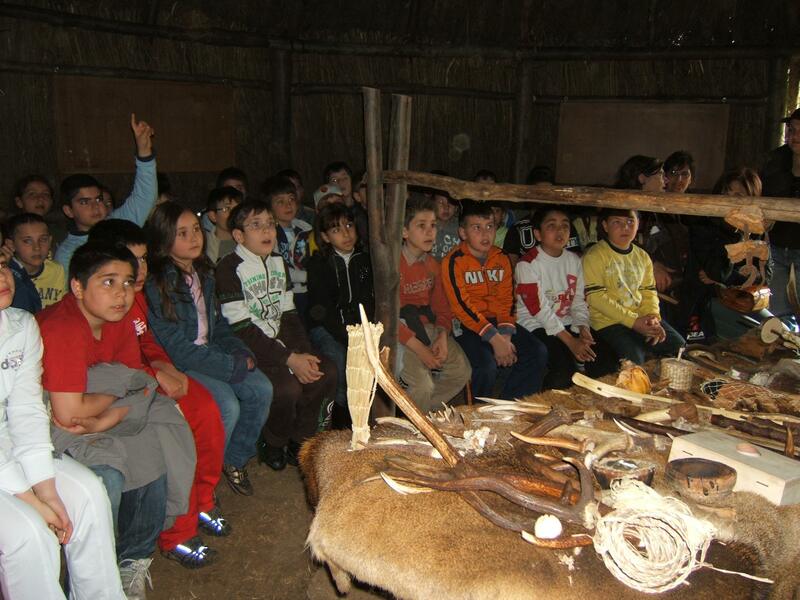 Vulcano offers the opportunity to the young and future generation for a Long Life Learning about ancient age and roots of the inhabitants of Latium. By living like our ancestors we can develop a better approach to our own daily life. Activities include flint knapping, archery, constructions of buildings, turning lathes, making bread fire starting and life in the earth lodge. Vulcano is an Experimental Archaeology Centre near Rocca Priora town, just outside Rome. The Centre covers two hectares, with a forest of tall trees, workshop area, burning pits, underground hut, two huts conical surface of which is being completed and the next project, a simulation of the excavation area of 42 square meters, a flint knapping area, different fire points, a primitive garden, an area for archery and atlatl with 3D target, a stove built for cooking and another pottery oven and another one ready in the spring for the fusion of metals , two picnic areas and an area of support groups for seminars and meetings. Within the Centre of Experience you will also find the Native American Village of Living History Tepee "Dawn of The Morning Star", with 12 tepees for the hospitality and the teaching about the US Native Lakota. There are many similarities among the Lakota, modern primitives of 200 years ago, and the people who lived in Europe 4500 years ago.